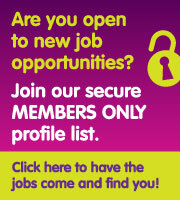 Please feel free to advertise your Occupational Therapy job or course now on our website. We've made all basic listings free so there's no need to wait. We'll send the lastest listings via email each week to thousands of occupational therapists, especially those in Australia and the United Kingdom. Right now it is FREE to post a listing on our site. Just click on the 'List Your Job/Course' link above. © OT-Bob.com 2019. Bob's OT Jobs is a brand name of Performance Physio ® . All rights reserved.